Save our soil - The truth about food and medicines. If we don’t do something about it, human greed will drive our civilization to extinction. Weston Price pointed out that previous generations have continuously taken more of their share of the minerals that were available in the soil and did so without returning them. “ Thus they have handicapped, to a serious extent, the succeeding generations, since it is so difficult to replenish the minerals and since it is practically impossible to accumulate another layer of top soil in less than a period of many hundred years.” Weston Price gave data indicating a relationship, even in the 1930's, between progressive soil depletion and heart disease. Phosphorous, for example, is an element required by every living thing on Earth. All the crops we eat depend on it to produce healthy cells, yet, according to Weston Price, in some areas in the USA there was only ever enough phosphorous in the top seven inches of agricultural land for approximately fifty crops of high-yield wheat or one hundred crops of moderate yield. Other grains made similar demands on the land. There is no reason to believe this situation was any different in Europe. Jeremy Grantham writing in ‘Nature’ ( Nov. 2012) warns that there is an impending shortage of both phosphorus (phosphate) and potassium (potash). These two elements cannot be made and cannot be substituted. Like any mined material, they are finite resources. Their use must be drastically reduced in the next 20–40 years or we will begin to starve. The vitamin and protein content of plants has been shown to be directly related to the availability of soil minerals and other nutriments. A programme that does not include maintaining this balance between population and soil productivity must inevitably lead to degeneration. In his book ‘An Agricultural Testament, written in the 1940’s, Sir Albert Howard warned of impending disaster after farmers abandoned the old and well tried principles of mixed farming in favour of artificial manures.. Until the mid-20th century, farmers maintained phosphorus levels in the soil by composting plant waste or spreading phosphorus-rich manure. Sir Albert wrote 'This slow poisoning of the life of the soil by artificial manures is one of the greatest calamities which has befallen agriculture and mankind...' He pointed to 'the steady growth of disease in crops, animals and mankind. The spraying machine was called in to protect the plant; vaccines and serums the animal…The population, fed on improperly grown food, has to be bolstered up by an expensive system of patent medicines, panel doctors, dispensaries, hospitals and convalescent homes." Sir Albert stressed that the importance of the connection between a fertile soil and healthy crops, healthy animals and healthy human beings must be made more widely known. He urged communities with sufficient land of their own, to feed themselves by producing their own vegetables, fruit, milk and milk products, cereals and meat, thereby demonstrating the beneficial results of fresh food raised on fertile soil. An excellent example is to be found in the village of Martin in Hampshire. It is one of the first in England to defy the power of the supermarkets by achieving communal self-sufficiency in food. Under the name of Futurefarms, it produces 45 types of vegetables in just two fields in the village. Within the fields, two acres are set aside for rearing free-range pigs while chicken runs are moved regularly across the bigger field and the rest of the land is grazed by sheep. Another, Whitmuir Community Farm near Edinburgh is being set up; the first in Scotland. Agricultural land is being unnaturally forced to produce increasing amounts of food under the guise of ‘feeding the world’ but is greed and more profit for the food industry the motive rather than concern for our fellow beings? Defenders of intensive farming systems will say this is the only way to feed the world. Others claim that globally, enough food is produced to feed everyone yet it is claimed that 2.3 million children still die of hunger every year. There are two major issues that must be tackled; the distribution of food and food waste. The Institution of Mechanical Engineers (ImechE) 2010 reports “Today, we produce about four billion metric tonnes of food per annum. Yet due to poor practices in harvesting, storage and transportation, as well as market and consumer wastage, it is estimated that 30–50% (or 1.2–2 billion tonnes) of all food produced never reaches a human stomach.” The report goes on to say that major supermarkets, in meeting consumer expectations, will often reject entire crops of perfectly edible fruit and vegetables at the farm because they do not meet exacting marketing standards for their physical characteristics, such as size and appearance. 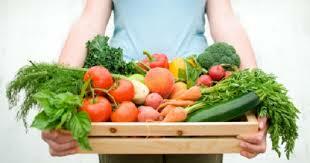 Up to 30% of the UK’s vegetable crop is never harvested as a result of such practices. 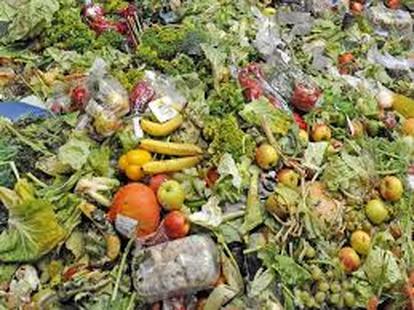 Globally, retailers generate 1.6 million tonnes of food waste annually in this way. Furthermore, the report adds “this figure does not reflect the fact that large amounts of land, energy, fertilisers and water have also been lost in the production of foodstuffs which simply end up as waste. This level of wastage is a tragedy that cannot continue if we are to succeed in the challenge of sustainably meeting our future food demands.” In the UK, the IMechE reports that 7 million tonnes of food valued at about £10 billion is thrown away from homes every year. It is clear that genetically modified (GM) crops treated with glyphosate will only destroy what is left of fertile land. Dr.Mercola in his website newsletter (25.4.15) reveals that researchers have found 'commonly used herbicides actually promote antibiotic resistance by priming pathogens to more readily become resistant to antibiotics. This includes Roundup, which was shown to increase the antibiotic-resistance of E. coli and Salmonella.' Not only that, but the World Health Organization now admits that glyphosate, the main component of Roundup, is a probable carcinogen. Therefore growing food organically and a return to mixed farming, as advised by Sir Albert Howard, is the obvious way forward thus ensuring improvement of soil fertility. Using the simple practice of rotational grazing,understood by generations of farmers before the industrial era, Joel Salatin, an American farmer, who farms organically, has shown the way. Each year, on just one hundred acres of pasture, Polyface Farm produces about twenty tons of beef, fifteen tons of pork, ten thousand chickens, twelve hundred turkeys, a thousand rabbits and more than four hundred thousand eggs. Of course no pesticides or chemical fertilizers are used. The animals are reared out in the fields and all waste is recycled naturally with the result that year on year the pastures become ever more fertile as essential minerals and trace minerals are returned to the land. This system provides a secure food supply in a truly sustainable way fit to feed a growing population. There need to be many more farms such as Salatin’s in the UK. With government backing to help young farmers get started it would all be possible. Put a stop to supermarkets selling perishable food 3 for the price of 2, which just creates even more waste. Make people aware of food waste by putting up posters advising people not to buy more than they reasonably need. Each time a food item is thrown away unnecessarily bear in mind that someone somewhere in the world may be starving. Weston Price. Nutrition and Physical Degeneration. Page 417. Food. Waste not, want not. Graham Harvey. The Carbon Fields. ISBN 978-0-9560707-0-8.